Successfully Added CCD Sensor 5M Pixels Digital Camera - 3X Optical Zoom to your Shopping Cart. 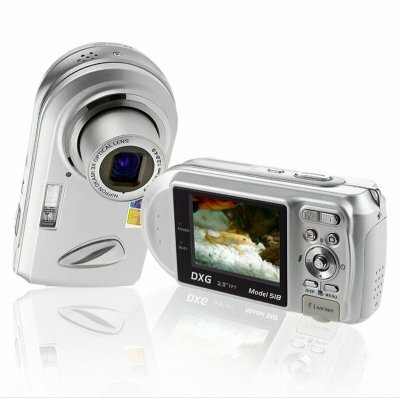 Super fine digital camera at incredibly low discounted wholesale rate with a 1/2.5 Inch 5.3 Mega Pixel Panasonic CCD imaging sensor and Optical lens for true high quality digital photo taking. Other great features for this excellent digital camera include 32MB of internal memory right out of the box which can be expanded up to 1GB more via a SD memory card, x3 optical and x4 digital zoom, interpolated picture quality of up to 8 mega pixels, and multiple user customizing options including flash, color effects, white balance, and OSD languages. Buy this wholesale price optical digital camera for yourself or as a sample, but log in and buy in bulk for even greater discounts.